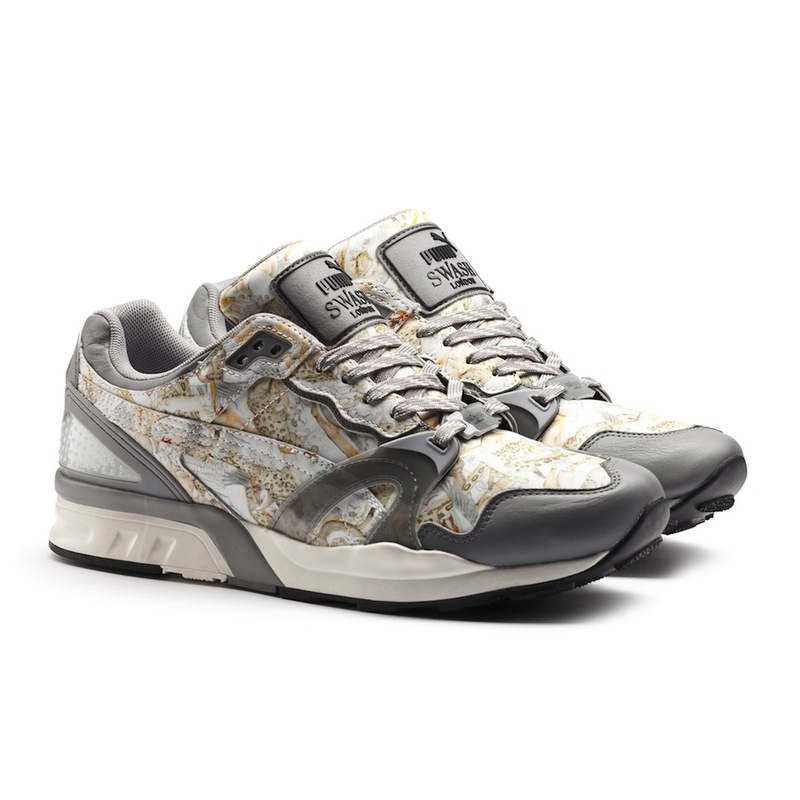 We know we might be a little late on these but we still needed to get these up as for one the Blaze of Glory is one of our favourite Puma models EVER EVER EVER and secondly because the print on these is just next level for us. 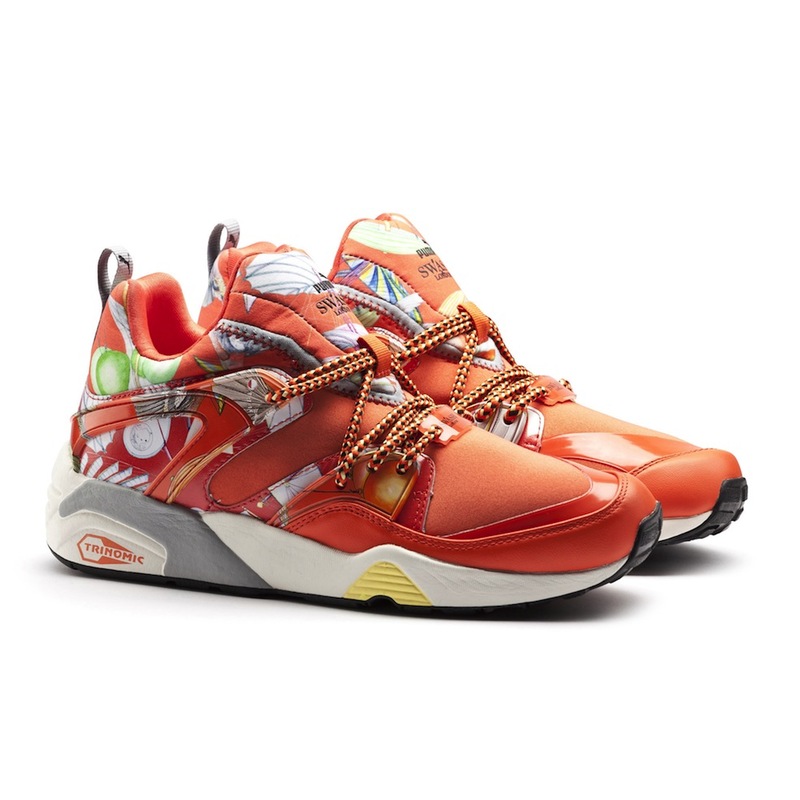 In a time of sneaker monotiness and suedy colour blocking great to see the detailed Swash print on the uppers of this second drop. Established in 2004, Sarah Swash and Toshio Yamanaka are the duo behind print company SWASH London. Celebrated for their signature, hand-drawn and painted artworks which instill their digital prints with the charm of human touch, in a world filled with the odd and the fanciful, where colours and characters meet. 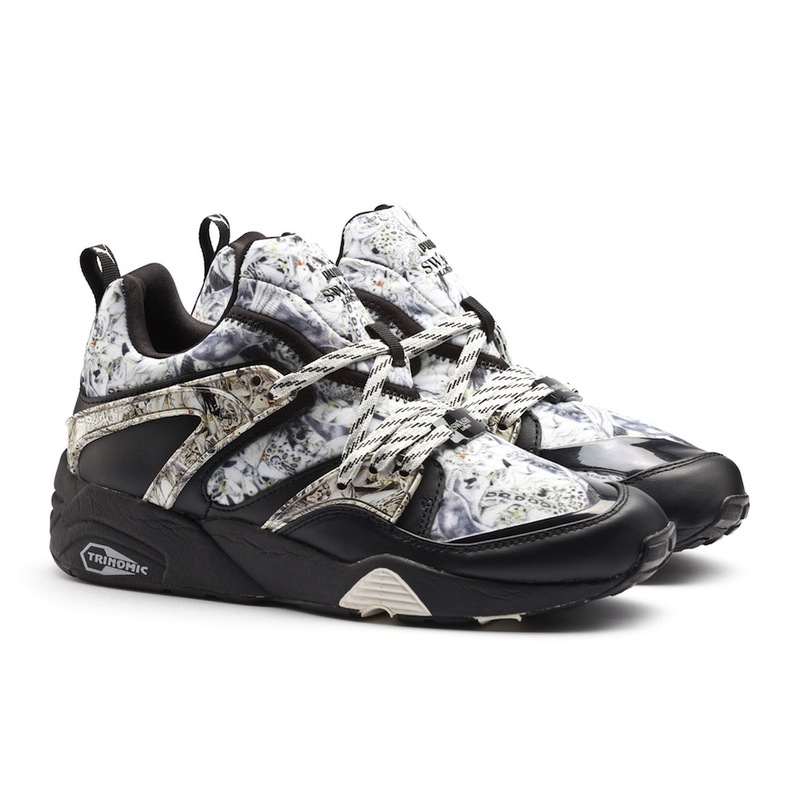 With print becoming more paramount within fashion and streetwear, SWASH brings their fascinating skills as artists and print specialists to life on iconic PUMA styles in a personal, captivating manner that nods to fashion and craftsmanship with a strong, eccentric narrative. 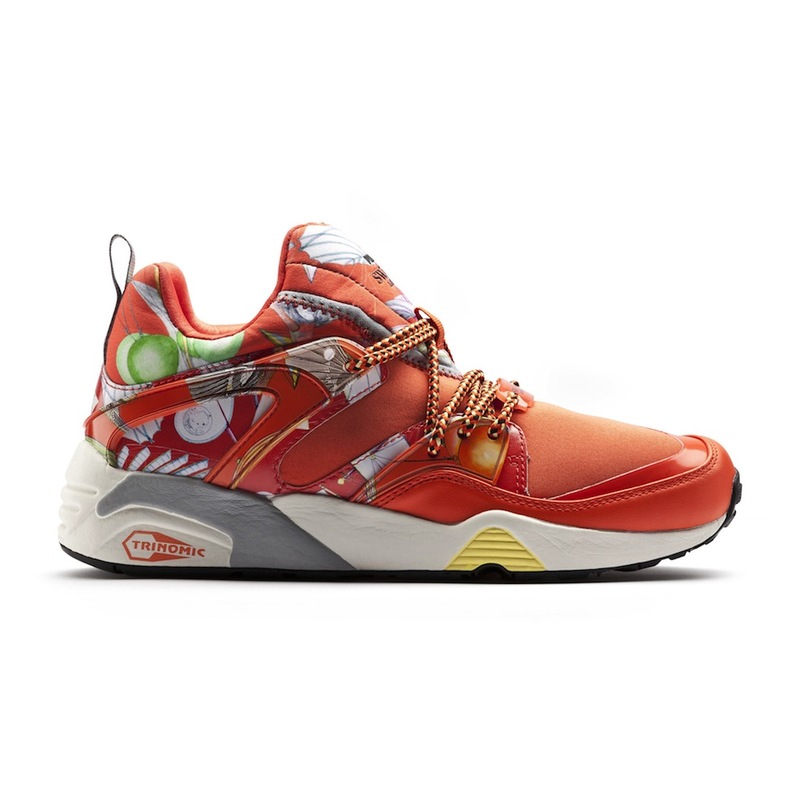 For this drop, PUMA release two Blaze Of Glory models in Black and Nasturtium ( we think that’s orange) as well as the XT2 in Cool Grey. 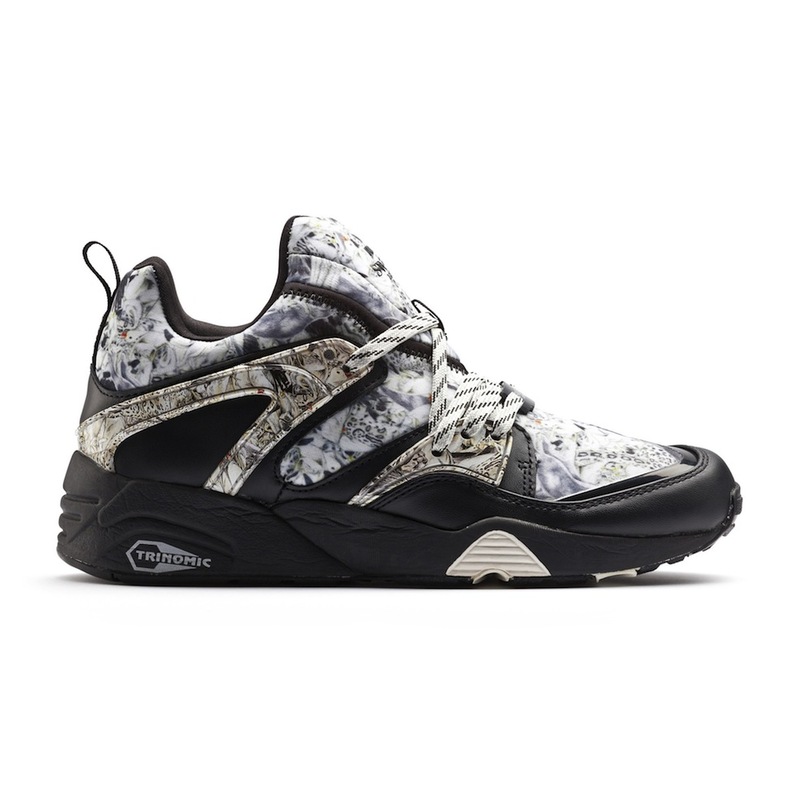 Merging the SWASH approach to fashion and drawing with PUMA’s fast paced Trinomic silhouettes, the end result is a beautiful yet daring collection featuring real attention to detail with innovative military finishing, Gore-Tex and embroidery. BANGERS! 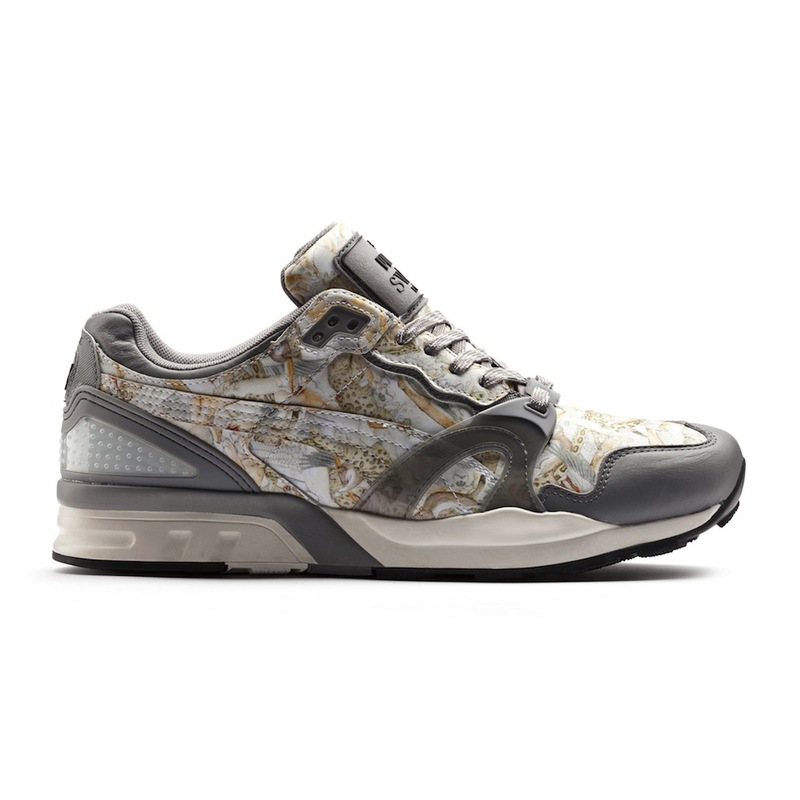 Find ’em at Pam Pam London, Oki-Ni and Harvey Nichols NOW. H-Town Sneaker Summit – Texas Stand Up!